The web server with the IP-address 185.34.175.142 used by Cleaningcamberley.co.uk is run by Victor Connect Ltd. and is located in Great Britain. This web server runs 1 other websites, their language is mostly english. The Cleaningcamberley.co.uk websites were developed using the programming language PHP and served by a Nginx server. The website uses the latest markup standard HTML 5. To analyze the visitors, the websites uses the analysis software Google Analytics. The website does not specify details about the inclusion of its content in search engines. For this reason the content will be included by search engines. 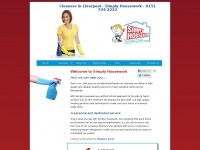 Andrewscleaningservices.co.uk - Swan­sea Clea­ners:: Andrews Clea­ning Ser­vi­ces ..
Fastklean.co.uk - Clea­ning Com­pany Lon­don | FastKlean | Com­mer­cial & ..
Cleaningliverpool.net - Clea­ners Li­ver­pool, Do­mestic and Offi­ce clea­ners, ..
Topcleaners.co.uk - Clea­ners Lon­don, Car­pet Clea­ning Lon­don, Car­pet ..